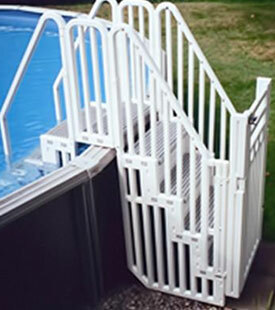 Fits 48″ to 54″ pools. Due to insurance requirements and specific building codes in municipalities across the US, we must sell a complete enclosure kit. We CANNOT sell the top step and side rails separately.